Enter your Login-ID and Password. Download the result and keep it till the admission process is over. The scorecard for the GPAT 2019 Result has been declared by the National Testing Agency (NTA) on February 15th, 2019. Applicants can check the scores on the official website by downloading the scorecard. This can be done by entering their registration number, passcode, and date of birth on the login page. The scorecards have been announced on February 17th, 2019. Result Declaration: The GPAT result declaration date has not been announced officially, but tentatively it will be declared on 8th February 2019. Till then the candidates are requested to be connected with the website of GPAT for more notifications. Required: The candidates can check their GPAT result on the official website of AICTE-GPAT using their GPAT login ID and password. Merit list: After the declaration of result, GPAT 2019 merit list of shortlisted candidates is made which includes the score, roll number, and rank of the candidate. The candidates who have their names in the merit list will be called for GPAT counselling. Calculation: The percentile is further calculated depending on the total number of candidates appeared in the GPAT exam and the score of the candidate. Answer Keys: GPAT answer keys will be released a few days after the declaration of GPAT result. Upon landing on the next page, the candidates need to click on ‘GPAT 2019 result’ tab. On the result page, click on ‘view GPAT 2019 score’. Candidates need to enter their login ID and password to view your score. Click on the direct link path for checking the scores for GPAT 2019 Result. 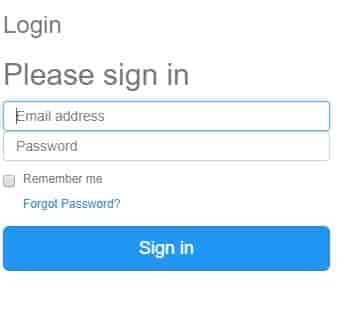 Then click on the 'Forgot Application No' link on the login page. Score Card: After the declaration of results, the GPAT 2019 scorecard is one of the most important documents for candidates. If a candidate does not possess the scorecard, they will not be able to attend the GPAT 2019 counselling. Hence, it is recommended to keep a soft copy of your result saved in your computer. You will be required to bring the printed copy of the same. Discrepancy: In case candidate finds any discrepancy in GPAT 2019 scorecard, to get it corrected they must immediately report to GPAT head office. Do I have to enter my roll number to check my GPAT results? No, the candidates have to enter their login ID and password to access their GPAT results. What is the procedure to check the GPAT results? The candidates have to visit the official website and enter their login ID and password. The candidates' have to download the admit card and take a printout of the same. What do i do after my results arrive? I wanted to know the next procedure after obtaining my GPAT results. All the candidates who are shortlisted after the merit list is out are supposed to login into the official site and check their GPAT counselling dates. It is the net step towards the admission into a reputed GPAT college. The candidates are required to carry their original mark-sheets along with other certificates at the time of counselling. If they fail to carry their original certificates and mark sheets their candidature can get cancelled. How can i check my GPAT results? Where can i check my GPAT results and what is the procedure to check them? You can check your GPAT 2017 results after they are announced at the GPAT India 2017 website using your Application ID and Password to Login. When will the results be declared for GAPT? The exact date of the result of GPAT 2017 is not declared yet, but tentatively it will be declared by the last week of March 2017. The candidates are requested to keep checking the website of GPAT for more notifications. The candidates can check their GPAT result on the official website of AICTE-GPAT using their GPAT login ID and password. When will the GPAT scores be released? GPAT results will be out on 15th, February 2017. However, the time of the results is not known. For how long are GPAT scores valid ? 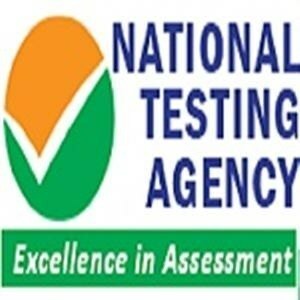 GPAT scores are valid for 1 year. Within how many days I can expect the result?